It will be interactive, thought provoking and very useful not only for your business life, but also for your personal life and success in life in general. We will be covering time, task and email management, so get ready to reflect on your daily routine! Some of you might think that being more productive and maximising your efforts means just increasing work load in life - and that is so wrong! By maximising your productivity you will improve your work-life balance, you will decrease your anxiety level, you will worry less, do more and your overall happiness will only increase once you apply it all in your life and business! Have you ever wondered at the end of the day where did the time go? Perhaps, you have super long, never ending to-do lists, - causing you nothing else rather than anxiety... Or maybe you are so busy, however not productive at all, struggling to prioritise urgent and important things amongst million other things? Have you nodded your head at least once so far?! If you are short of time or if you feel you could do so much more, but don't recognise what exactly must be changed - this event certainly will give you more clarity and ready to apply tips and tricks on how to organise your day (and your week!) for a maximum of productivity! Every business owner or a self-employed person is guilty of wasting at least some time and money. On average, business owners spend 68% of their time taking care of day-to-day tasks rather than working “on their business”... If you started your business in order to make money instead of wasting it minute by minute - this event will not only remind you what you shouldn't do or what you could do better, but also will open your eyes on many more ways of how to become more productive. direction in life, addictions, relationship issues and more. Olga makes her audience not only to mindstorm and learn, but also to create new ideas,overcome challenges and limiting behaviours right during her workshops. 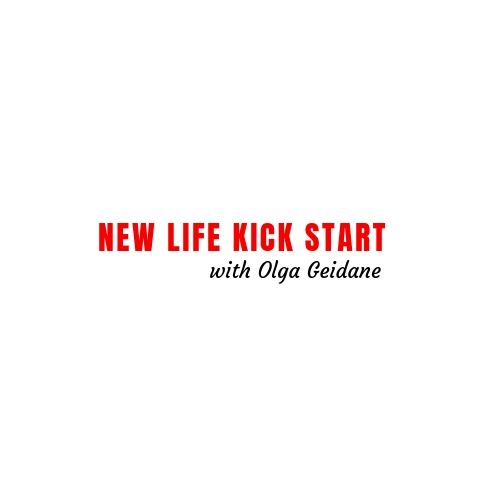 Olga is very passionate about helping people to transform their lives and businesses!